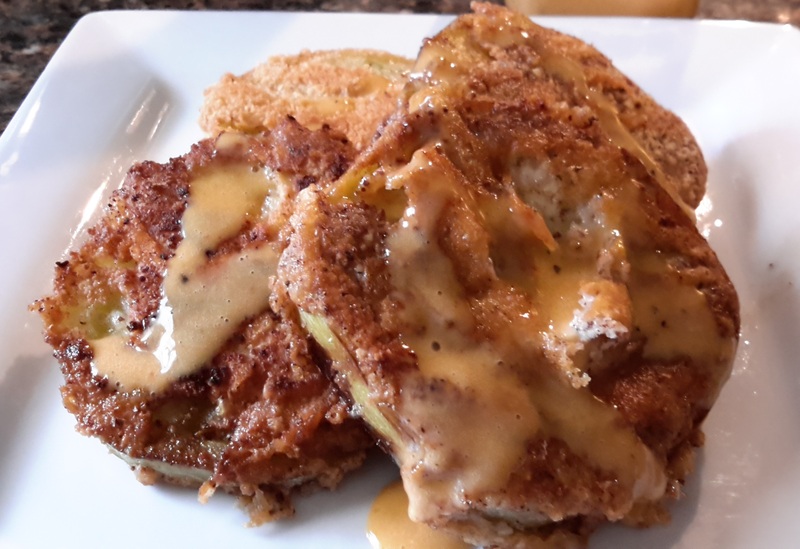 I love Fried Green Tomatoes, not just because I live in the South, but they are just simply Good. 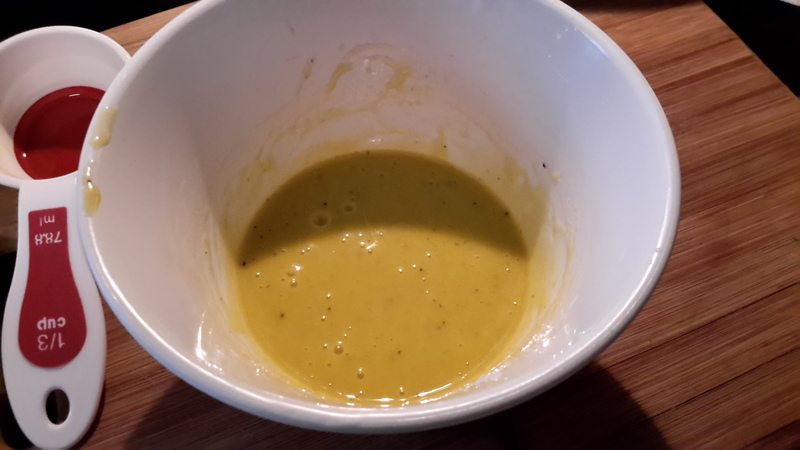 Some of you may consider this a Summer Dish, it is really, But its also a wonderful appetizer for a warm bowl of Vegi Soup. 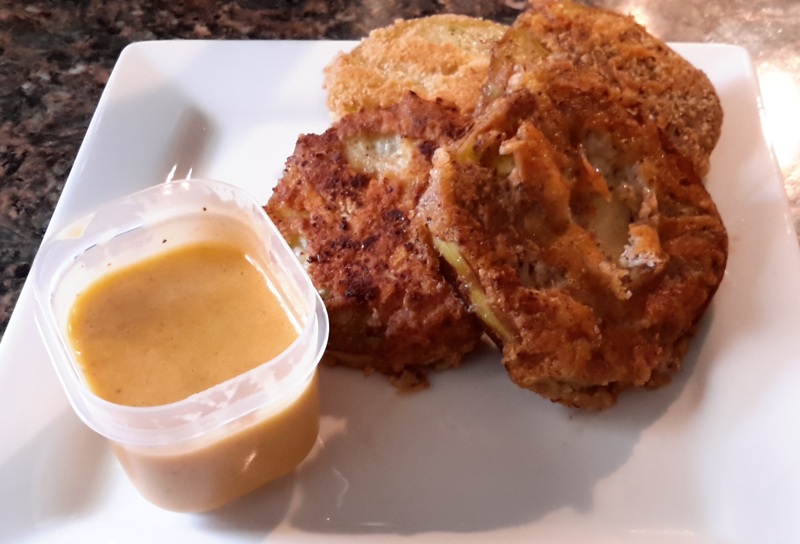 There are tons of recipes online for these wonderful tasty little green things, here is my take on the Low Carb version of Fried Green Tomatoes. 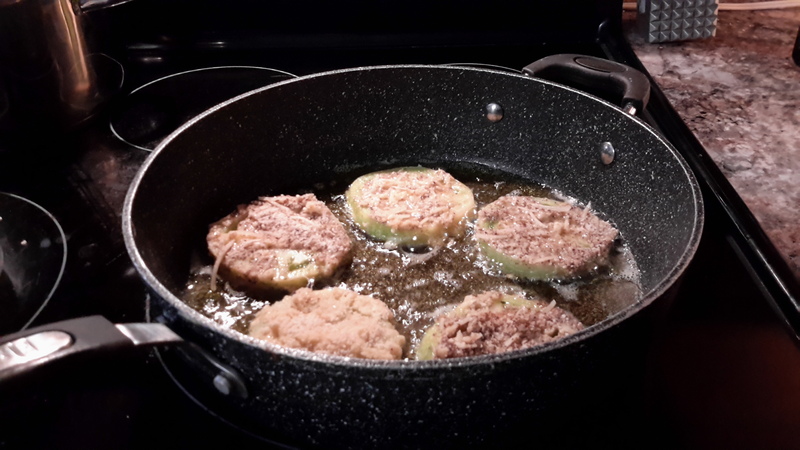 You will want to use a Cast Iron Pan or a Heavy Skillet. 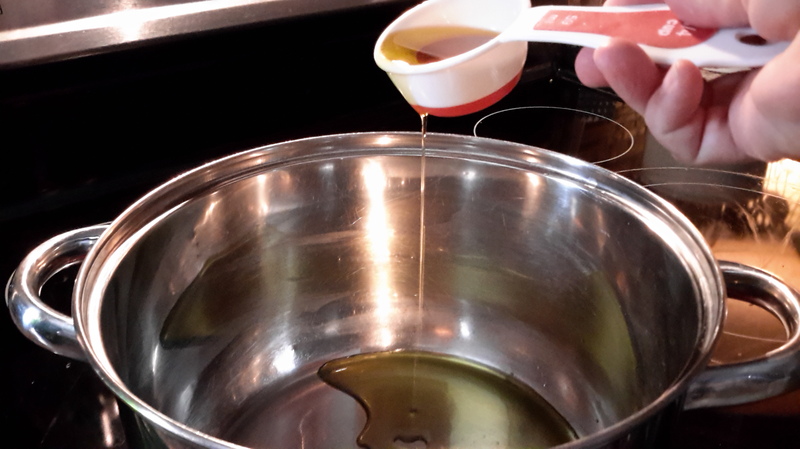 I/3 cup to 1/2 cup Olive Oil or Peanut Oil (all pan bottoms are different adjust oil to cover just the bottom). 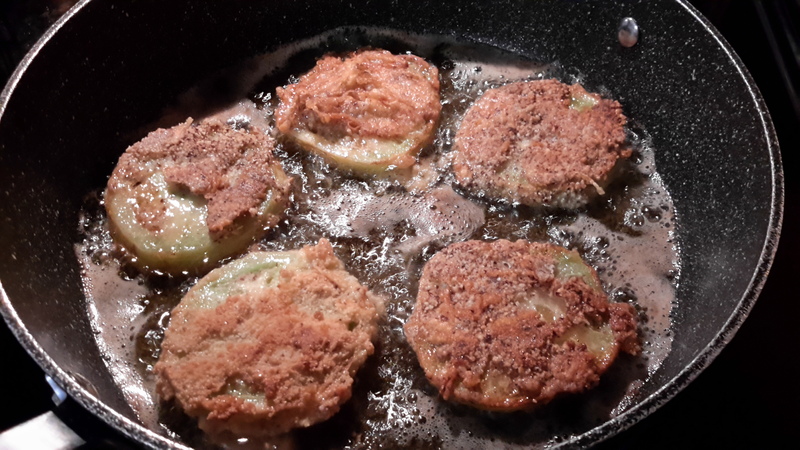 NOTE: If you want to fry more Tomatoes for a larger crowd adjust recipe as needed. 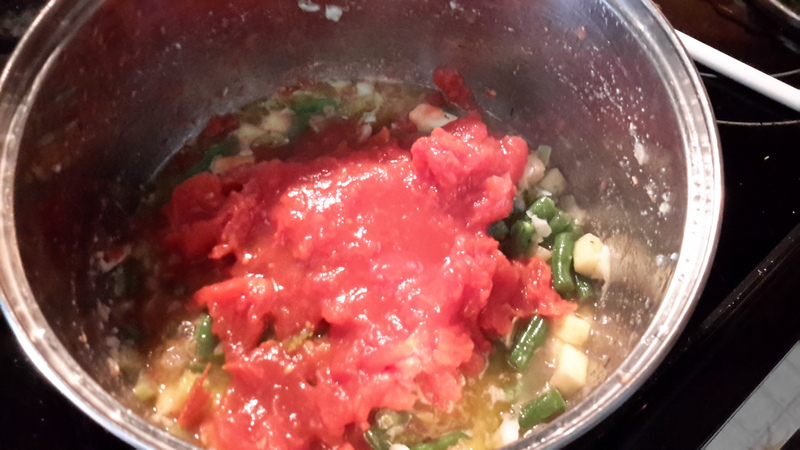 We are going to make our Sauce first, so we can have it handy when our Tomatoes are Hot and Freshly Cooked. 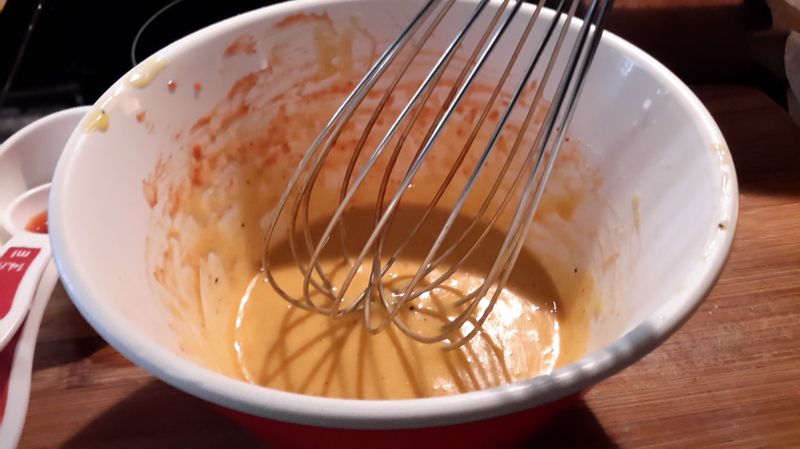 Combine egg, lemon juice, mustard, Sriracha, salt and pepper in Small mixing bowl and combine with whisk. 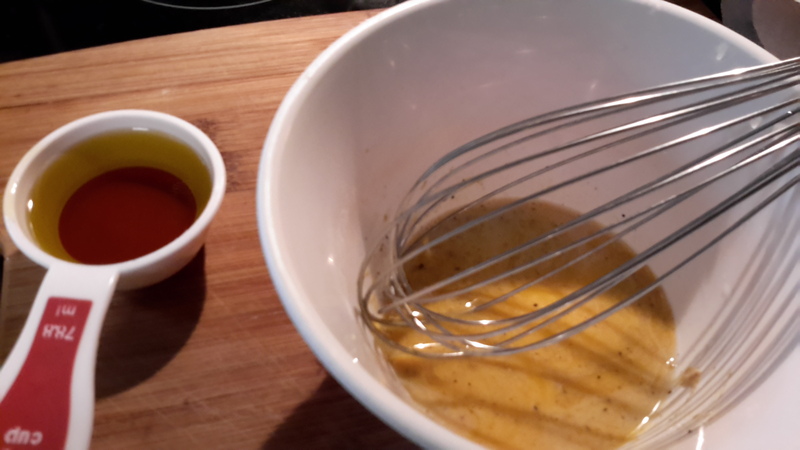 Pour in the oil in a thin, steady stream and Whisk as you go constantly. 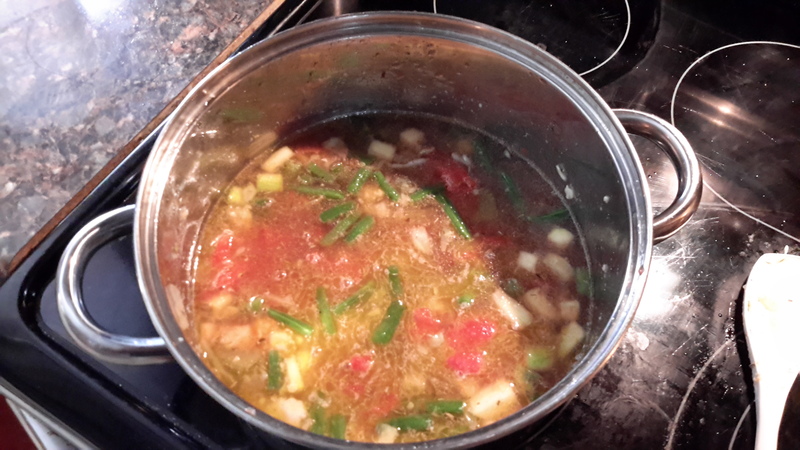 Mixture should start to become thick . DONE! 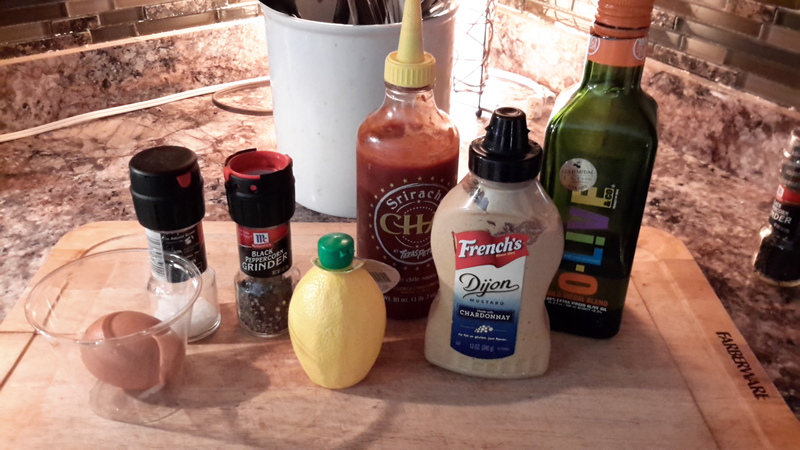 You can use this Sauce for a lot of dishes including Shrimp and Hamburgers. I don’t like Mayo. But this is Good! 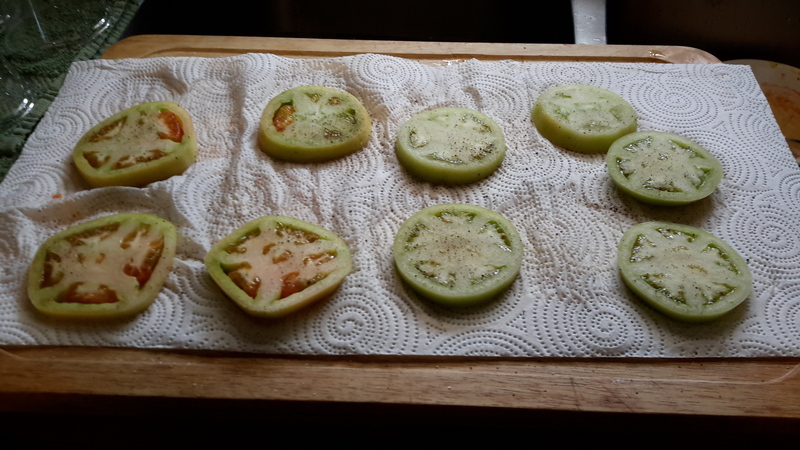 OK, lets get our Tomatoes ready, Wash and dry your Green Tomatoes. Now slice as thin or thick as you like, the Norm is 1/2 inch, I like mine a tad smaller. Lay your Slices on Paper Towel and Salt and Pepper both sides. let them fellows sit there for about 5 to 10 min. to drain most of the moister out. 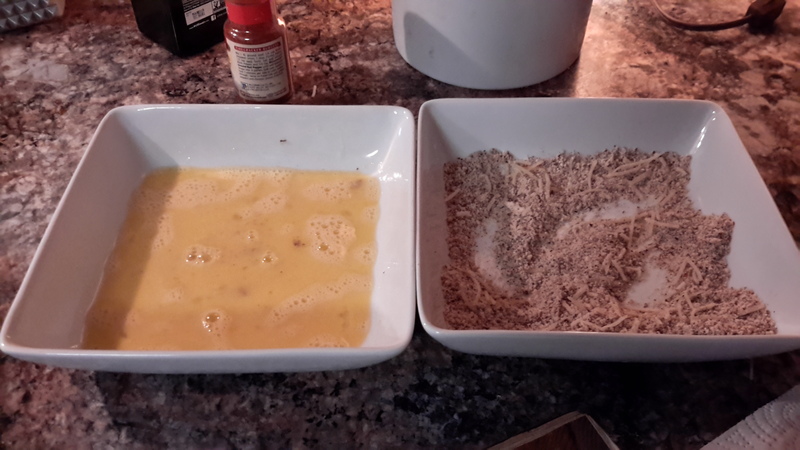 Next get your Eggs whipped up in one bowl and your Almond Meal/Flour in the other. 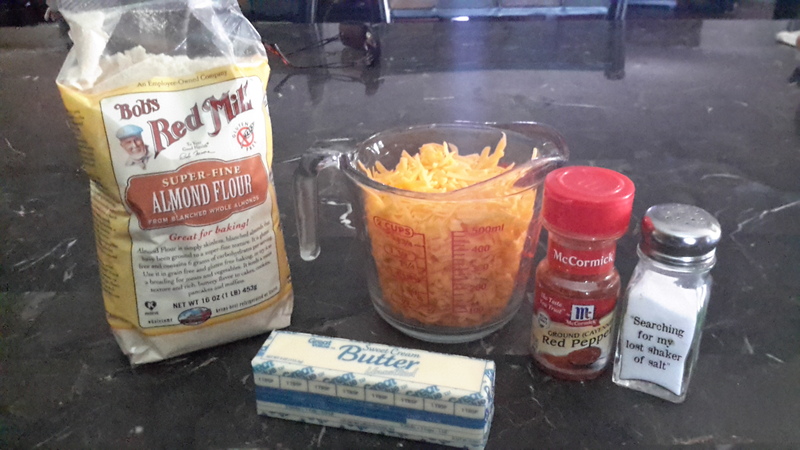 Add all the seasoning to the Flour mixture and mix with a fork. Get your Frying pan ready add your oil and heat Med. high . While that is heating up lets get started with our Tomatoes. Dip Tomatoes in flour first, then Egg wash, then back in flour. Add to hot pan, Don’t crowd your pan, take your time and only do a few at a time 3 – 5 min that’s all, watch don’t let them burn! You may loose some crust No worry’s, they will still be terrific! When you take the out of pan put on a cooling rack and serve as soon as possible! Serve Sauce on the side or Pour over Hot Tomatoes. Grab a Fork Guys were digging in!! 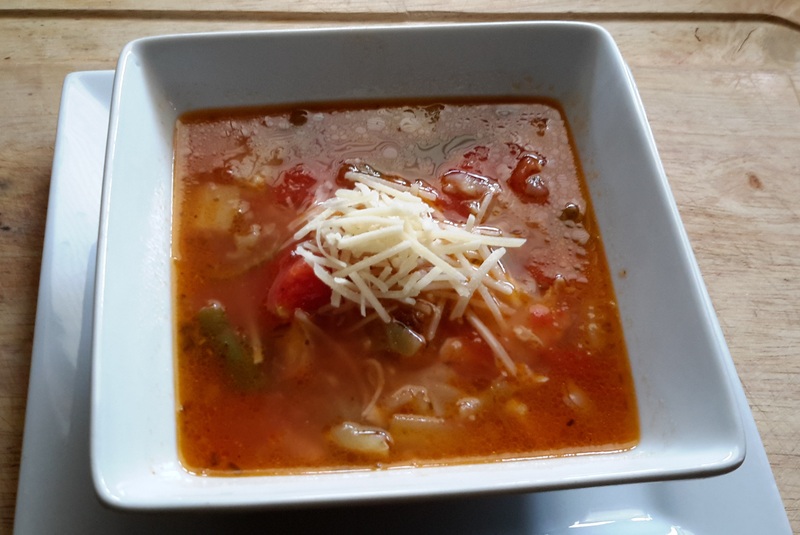 Low Carb Minestrone Soup is a wonderful meal for the Fall. 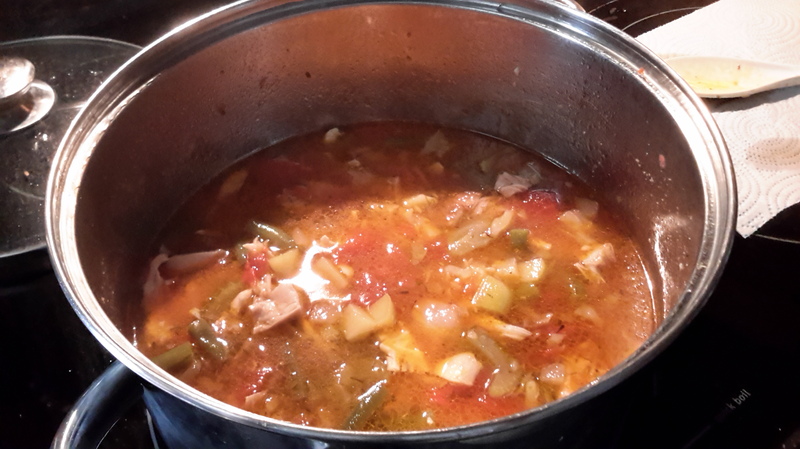 Normally we add Pasta to Minestrone, but keeping it Low Carb we going to substutite and add Chicken in place of the noodles, but to be perfectly honest, this soup is just as delicious without the Chicken. 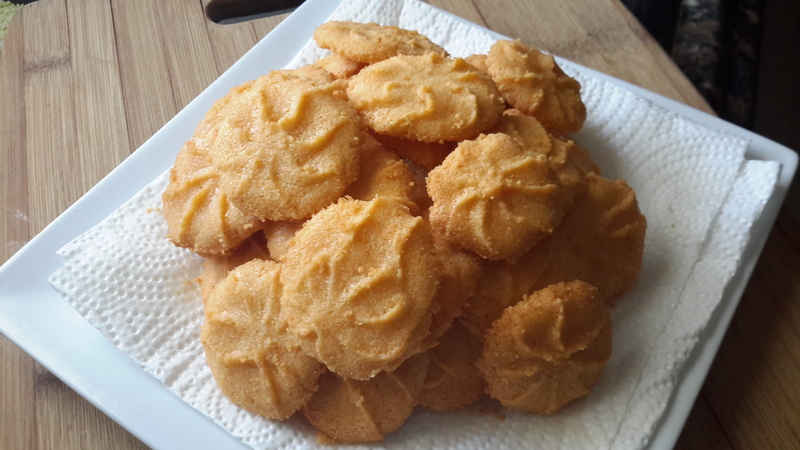 I originally found this recipe online at LOW CARB MAVEN very good site, I want to thank her for the inspiration. 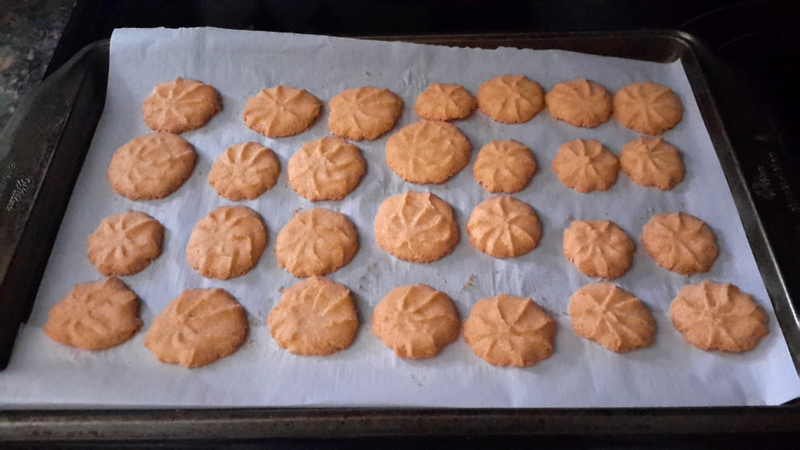 I tweaked the recipe to my family taste. 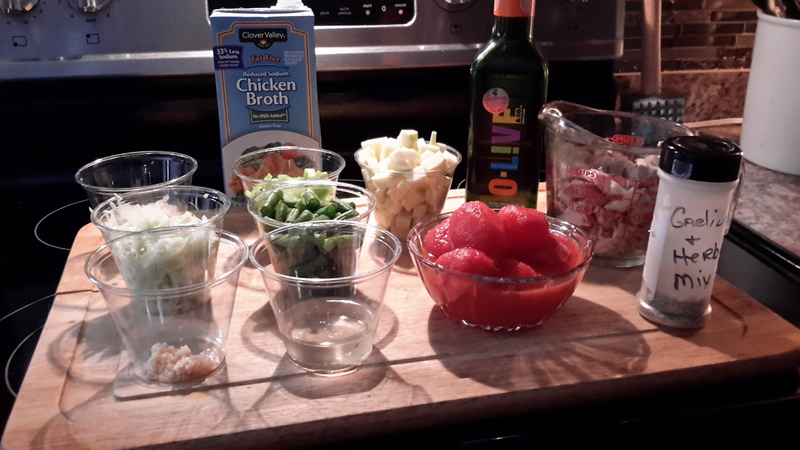 Getting all your ingredients together is the best way to approach any soup, so lets get started. 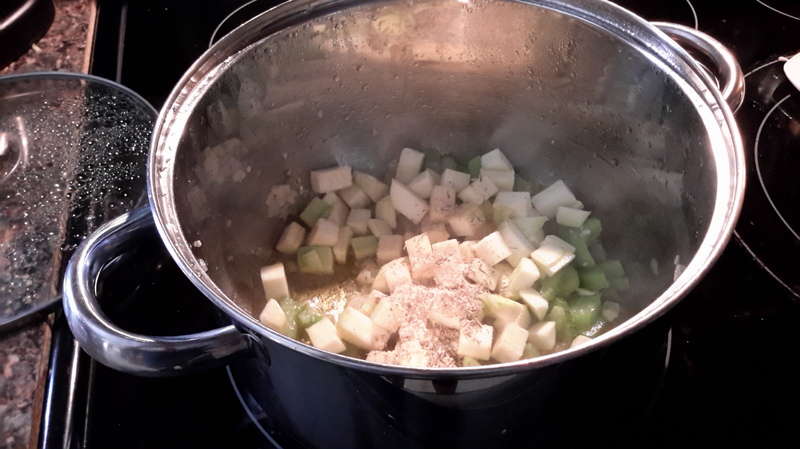 1/2 cup fresh Zucchini or yellow squash ( or use both to equal 1/2 cup ) Chopped in small squares. 2 Cup of leftover Chicken or if you wanna cook some that’s fine also, thighs have more flavor, remember to remove skin for this recipe. Ok I think that’s it! 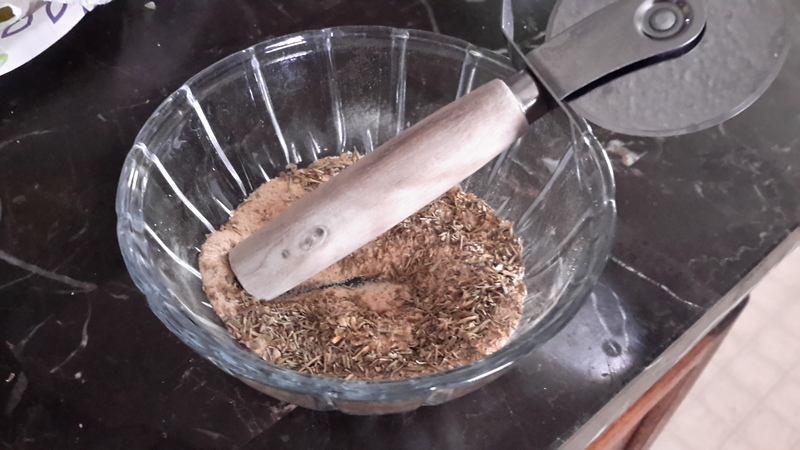 You can use this in a lot of recipes, but its a good soup Seasoning. Store in Container and save for other uses, you’ll only need a Tablespoon for this recipe. After 5 min. 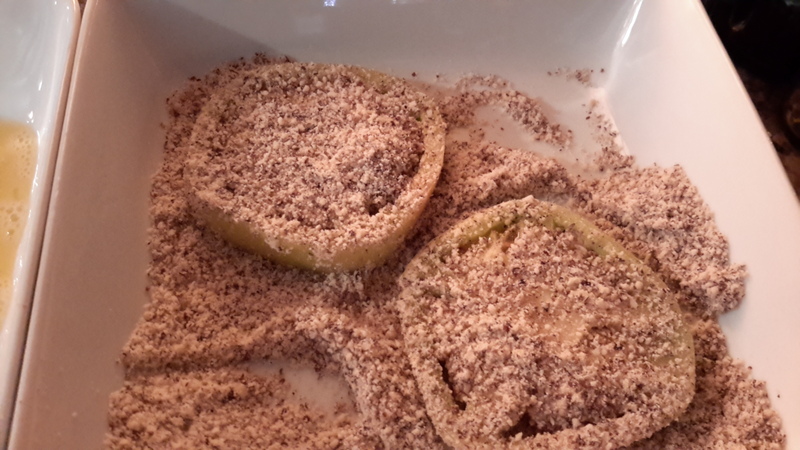 ADD Zucchini and Garlic & Herb Seasoning. 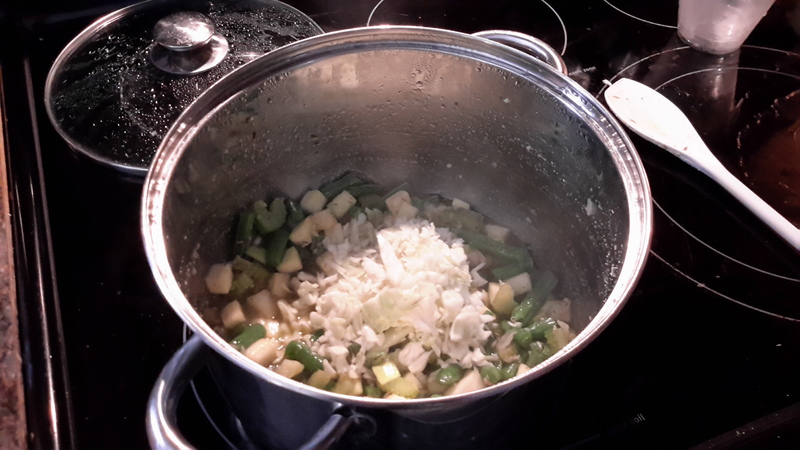 Stir, and Cover again for 1 to 2 minutes. 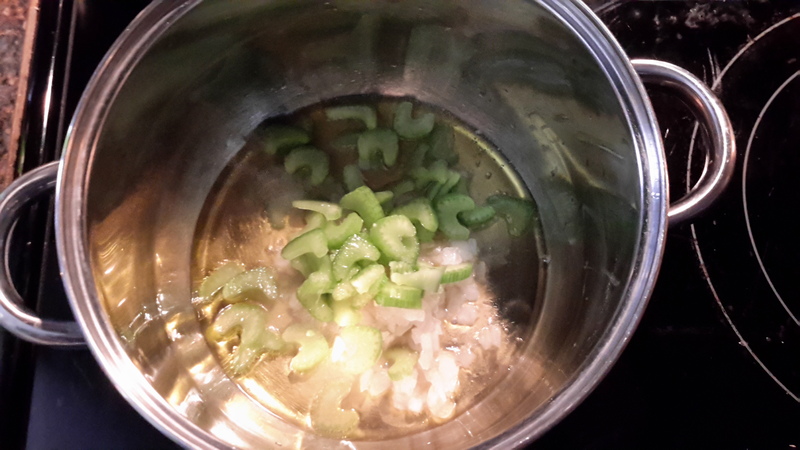 Stir and cover again for 1 min. Next, Cabbage, Wine. 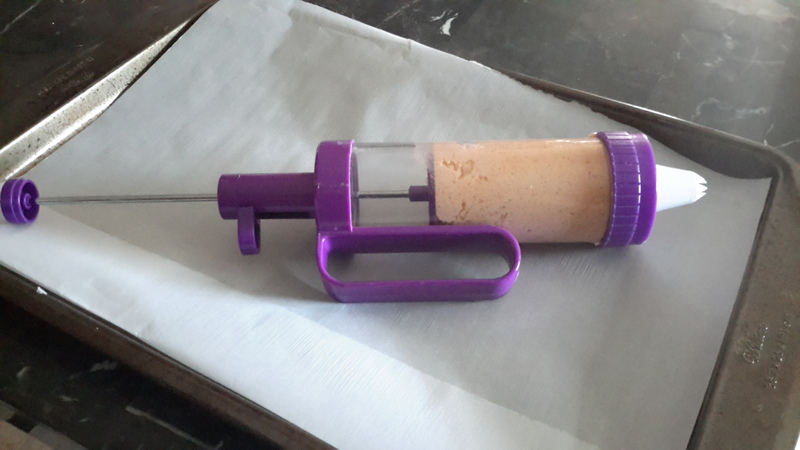 Stir cover for 2 minutes. 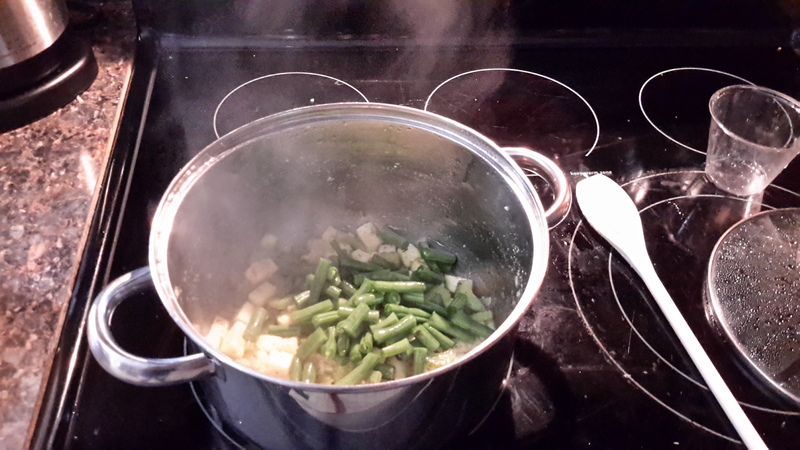 Reduce heat to Simmer, Cover and set timer for 40 to 50 min. Just until your Vegis tender up. Add Chicken, Stir, and Cover for about 5 min. on Simmer. Quick taste, Add Salt and Pepper if needed to your taste . Walla!! Finally all done, that’s wasn’t so bad was it. You just made Soup! Its Good For You Too, Bonus! You can garnish with some cheese, I do! 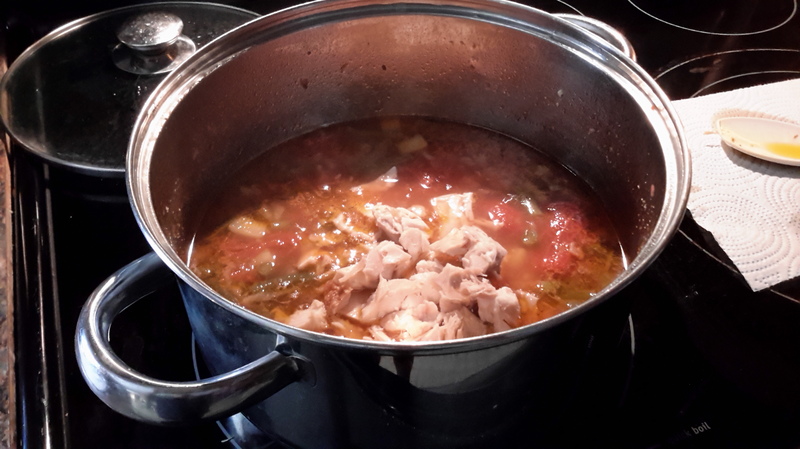 During the trails and errors of learning Low Carb cooking, I find out a lot of different ways to prepare certain dishes to make them BETTER, that’s a good thing! 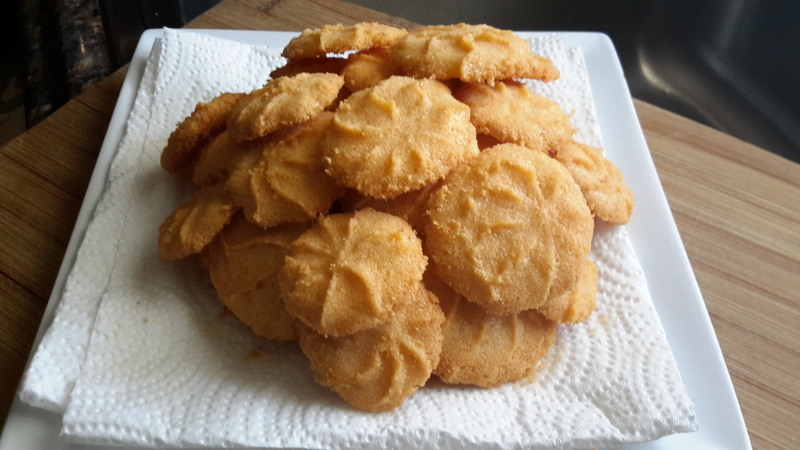 This is one of them, I previously posted this as Cheese Straws. 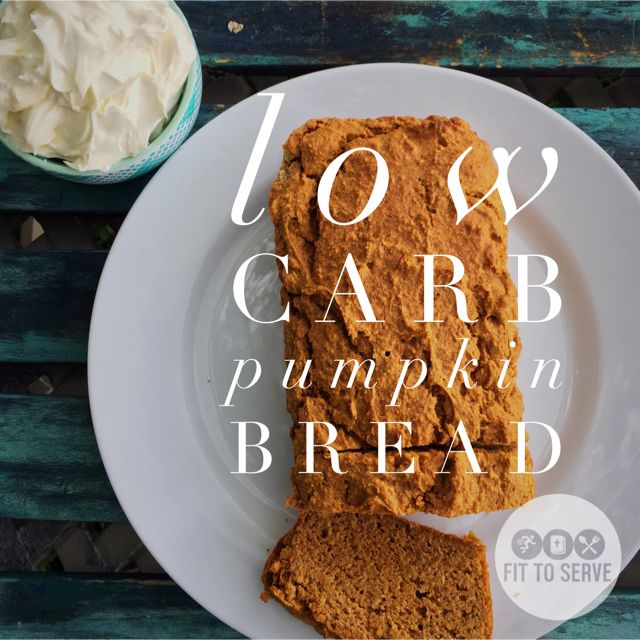 This is slightly different and I found that there IS a difference with flour used for low carb healthy cooking. 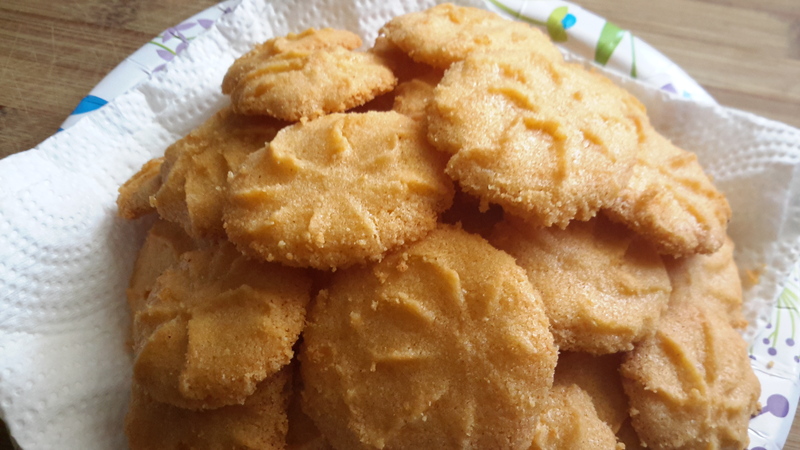 In this recipe I use Super Fine Almond Flour, in the last I used Almond Flour/Meal. There is a difference, its fine to use either, but I find the Super Fine Almond Flour makes a better dish were you would normally use reg. Flour. 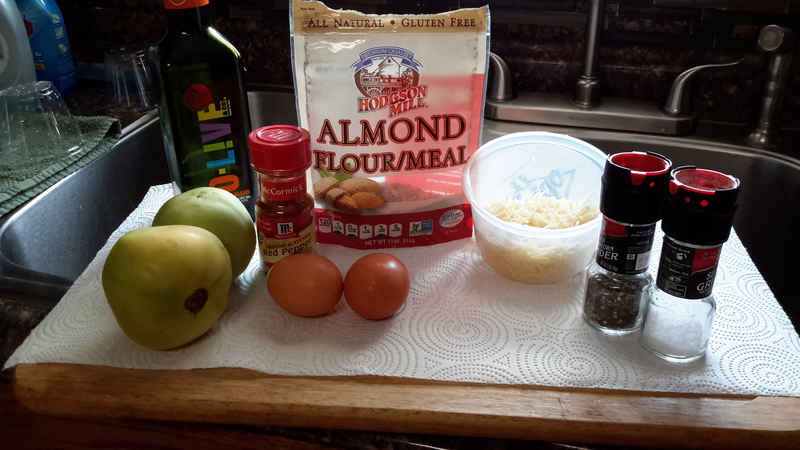 In this photo above you can see the Super Fine Almond Flour I use in this recipe, along with the other ingredients. Dash or two of Salt NO MORE! 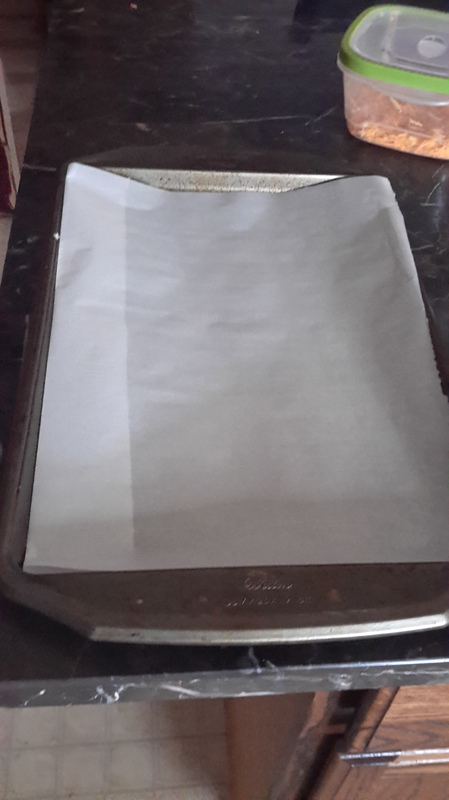 Pre Heat Oven to 300 degree and Line your baking sheet with your Parchment Paper. 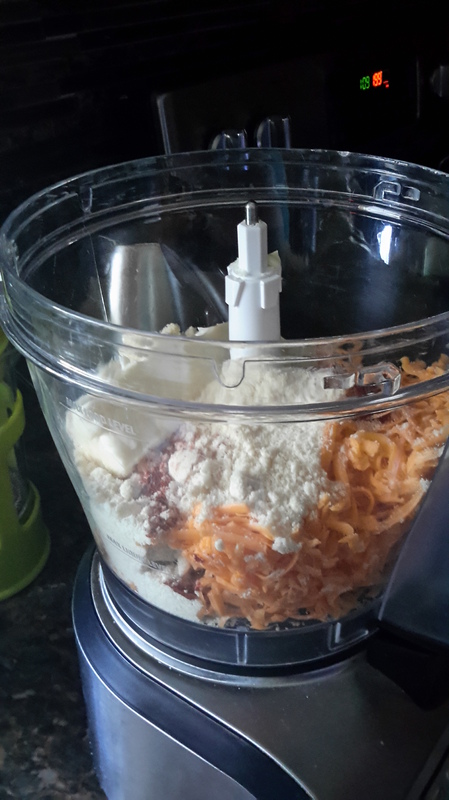 In your Food Processor or Mixing Bowl add all ingredients. Blend on Dough setting until all Ingredients are mixed well. 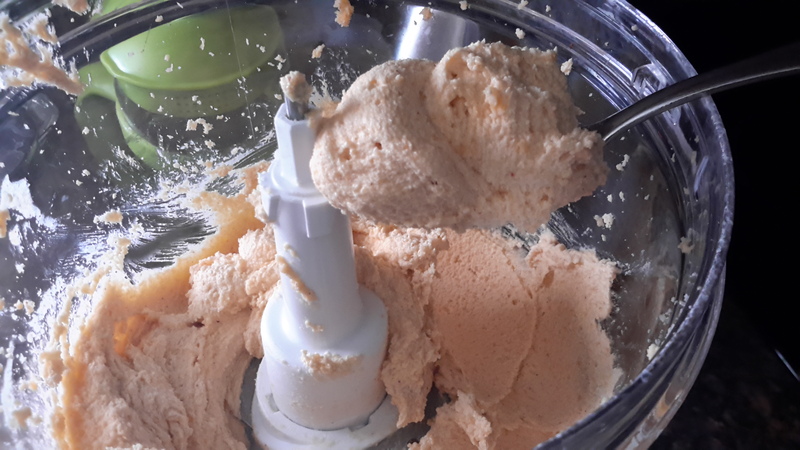 If your using a Regular mixing Bowl, Mix well with Fork first and then switch to Large Spoon, try to get the ingredients mixed well. Next grab your cookie press, and load up. My Press is super inexpensive, thinking of starting a Go Fund me page to get a nicer one, just kidding 🙂 I ..do seriously need a better one, but this little guy has done a good job for me. 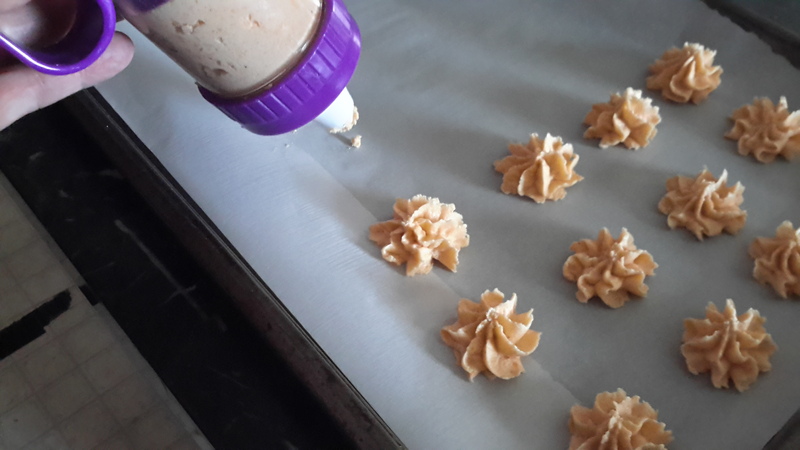 Squeeze your Cookies/Rings out onto Parchment covered Cookie Sheet. Don’t make them too big/thick, you may need to practice a bit. 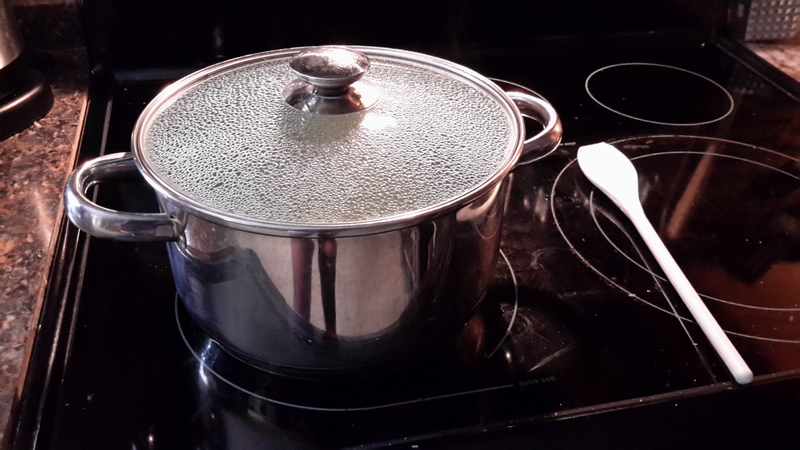 Place into your Pre-Heated (300 dg) oven, cooking times may very with each oven, should be done in 15 to 18 min. Keep an eye on these cute little guys. This batch will make 48 + if done to the right size. They keep for about 4 days after that they are not as fresh and tasty. (my opinion only). If you want to 1/2 this recipe just cut all Ingredients in Half. Easy Pease! 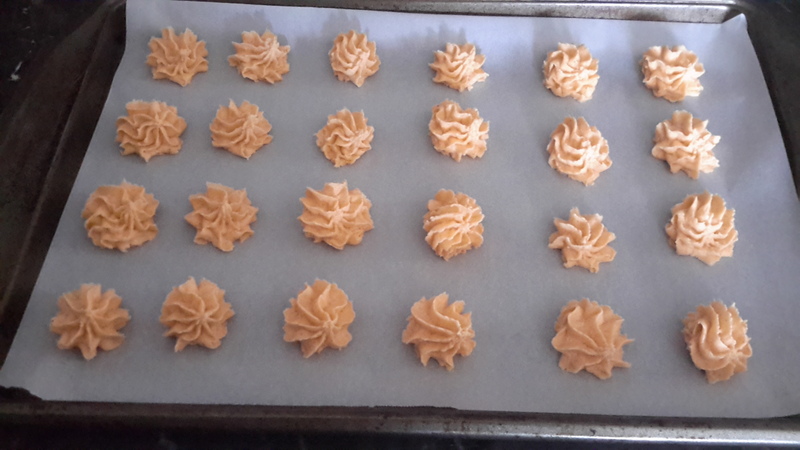 Place on Cooling parchment before sealing in container or Zippy Bag. Let Cool Complete! 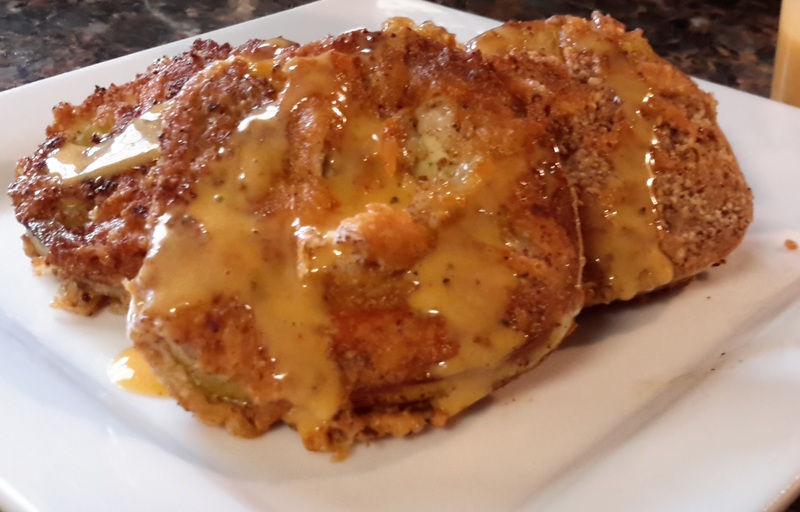 These are great for a party, or upcoming Fall Holidays, or just a quick snack. Enjoy Guys!